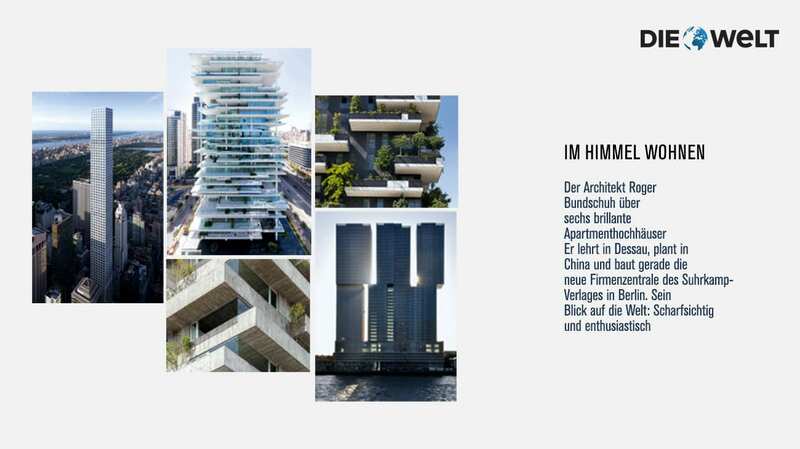 The renowned newspaper Die Welt selects six innovative towers and skyscrapers projects all around the world to tell about the contemporary high-rise living among innovation, technology, multifunctionality and nature. Among the six projects proposed by the German magazine, De Rotterdam designed by OMA, conceived as a small city with all its functions inside; 432 Park Avenue in New York designed by Rafael Viñoly, is the highest residential skyscraper in the world; Beirut Terraces, produced by the Swiss office Herzog & De Meuron taht is a residential skyscraper defined by a strong horizontality produced by a serie of overhanging slabs, which creates a dynamic game on the facades; The Interlace, a radical complex for 1000 residences designed by OMA and Ole Scheeren; the Building Pueyrredón 1011, an elegant and brutalist concrete building conceived by Pablo Gagliardo Argentinian office. The Vertical Forest takes place in this selection of projects that are defining the new fronteers of contemporary architecture. It is presented as a pioneer project of the Urban Forestry and of green sustainable architecture, which integrates nature as the element that modulate all its parts.